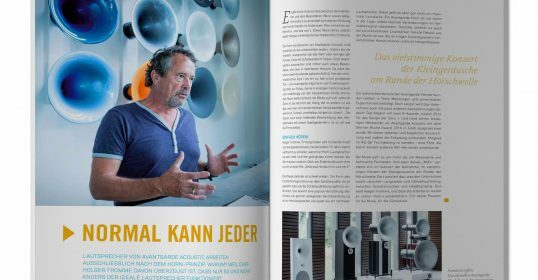 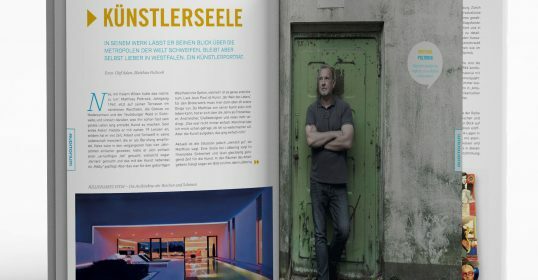 A well known highend Hi-Fi retailer with several stores across Germany was looking for new ways to address his sophisticated clientele. 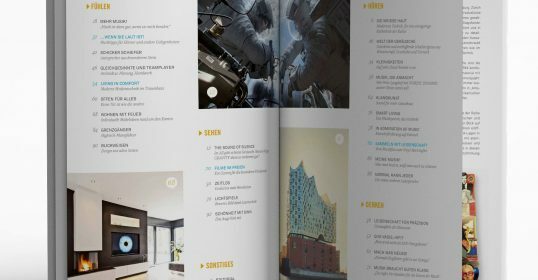 The intention was to find an approach that doesn’t focus on technology but instead on the joy of listening to music or watching a great movie. 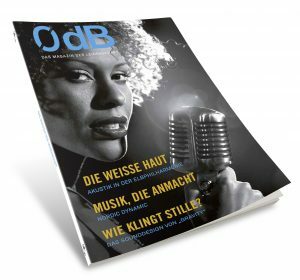 «0dB – Das Magazin der Leidenschaft» translates as «The Magazine of Passion», and is probably the first Hi-Fi magazine with (almost) no Hi-Fi in it. 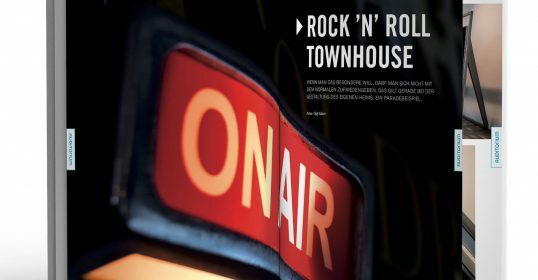 Instead the readers find interviews with designers, musicians, artists and Hollywood talent. 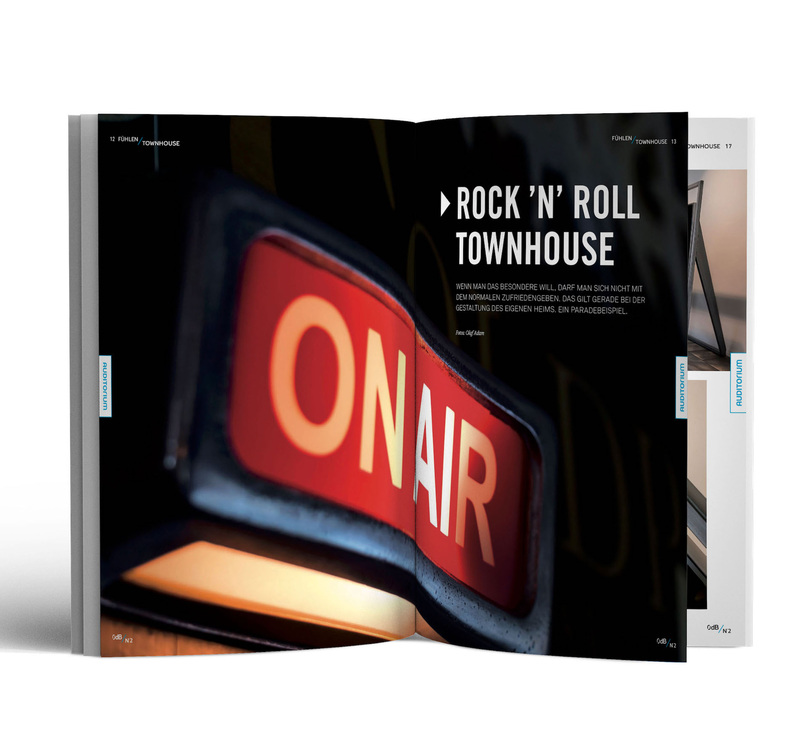 Plus long, very readable stories from all areas of business and private life. 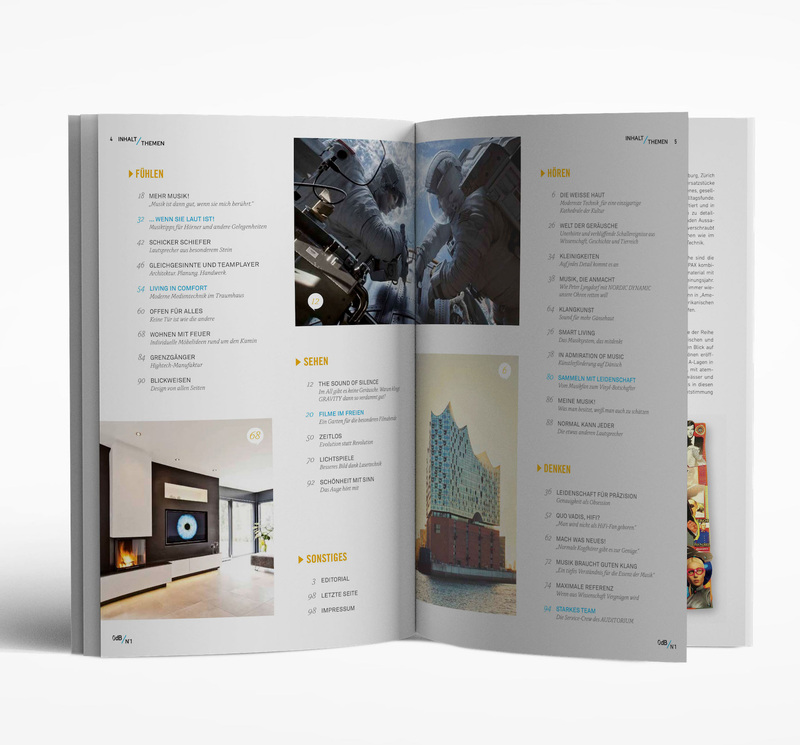 Everything presented with world-class design, beautiful pictures and printed on expensive paper. 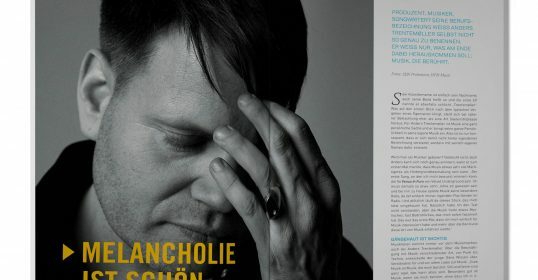 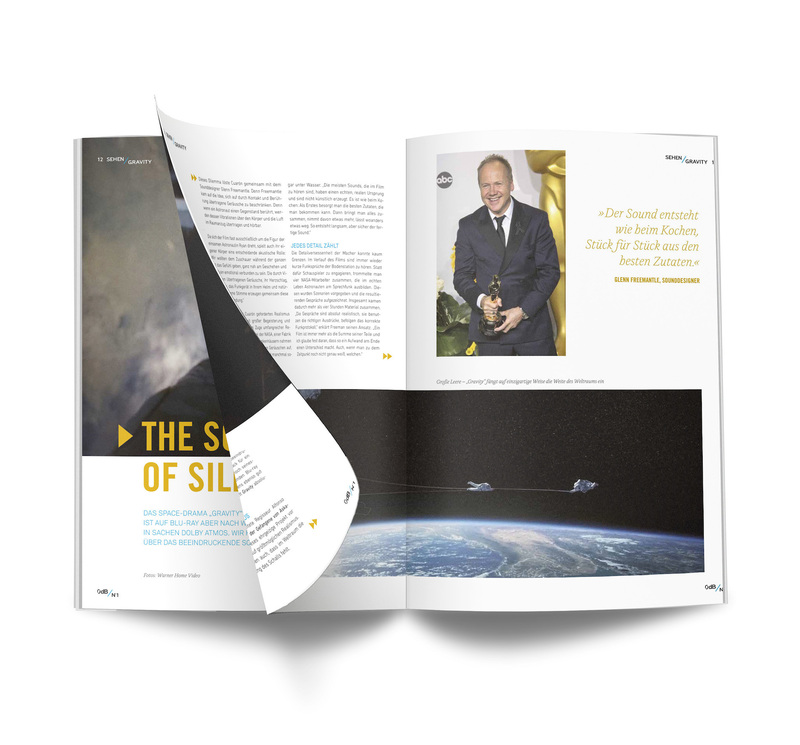 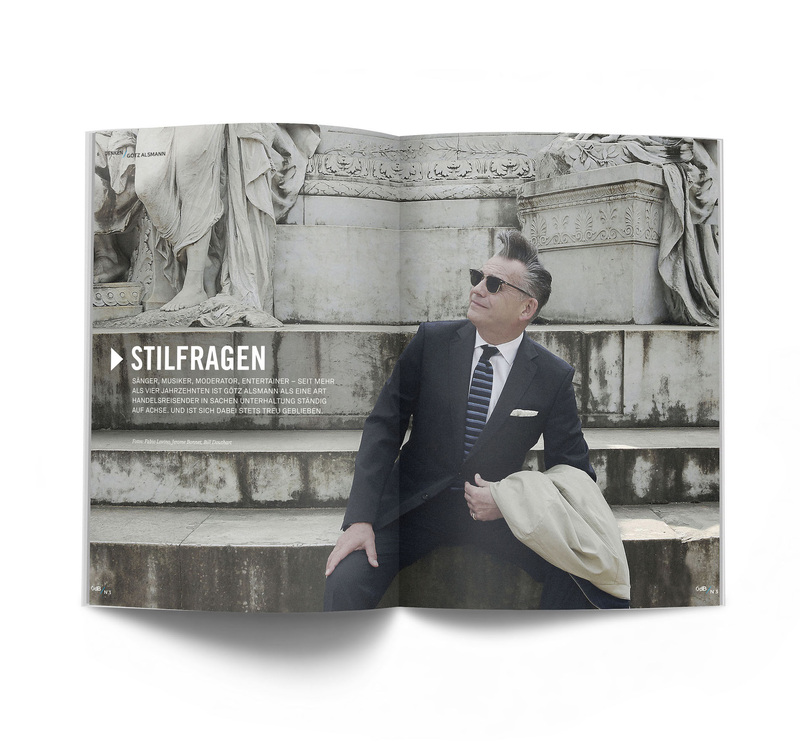 Each issue will have an overarching theme that guides the editorial content without limiting it. 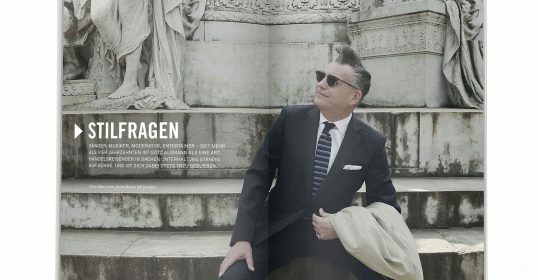 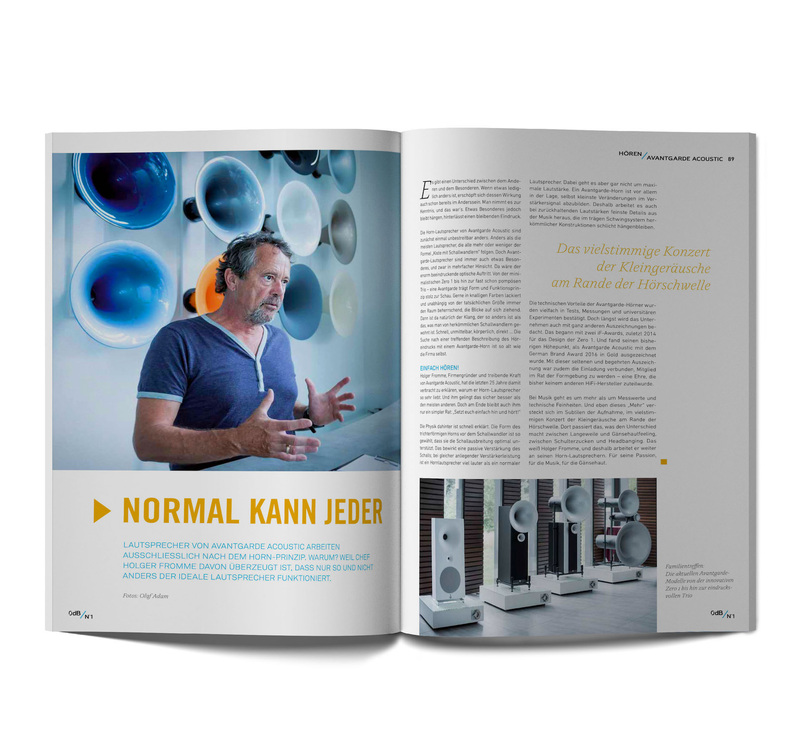 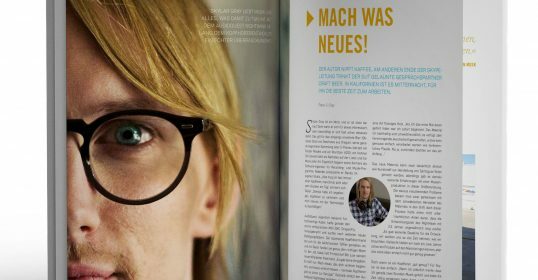 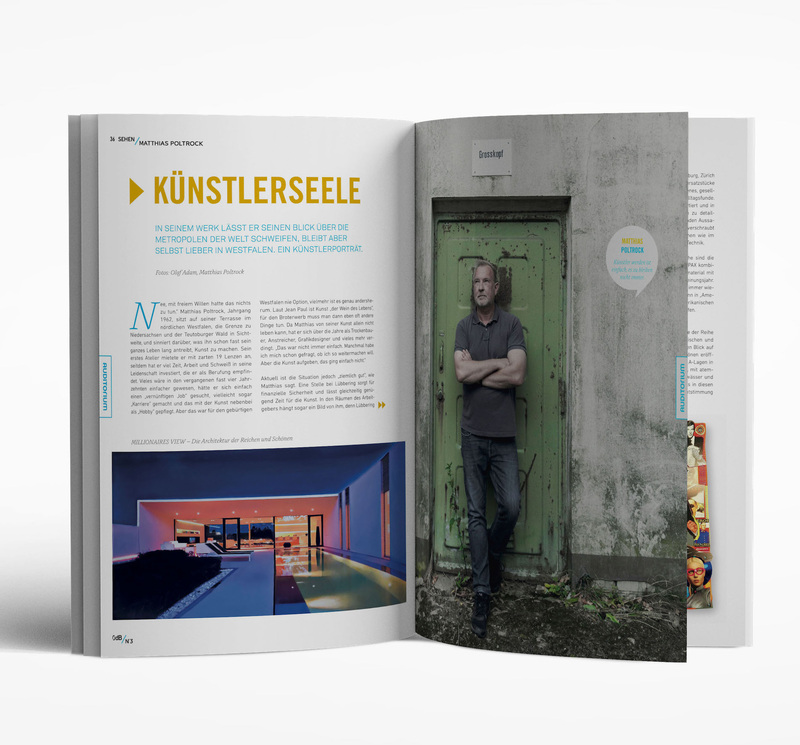 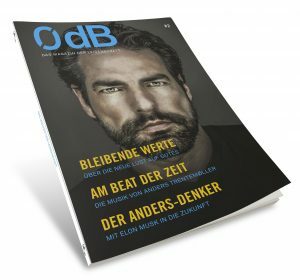 «0dB – Das Magazin der Leidenschaft» has 84 to 100 pages and will be published once a year with a print run of ca. 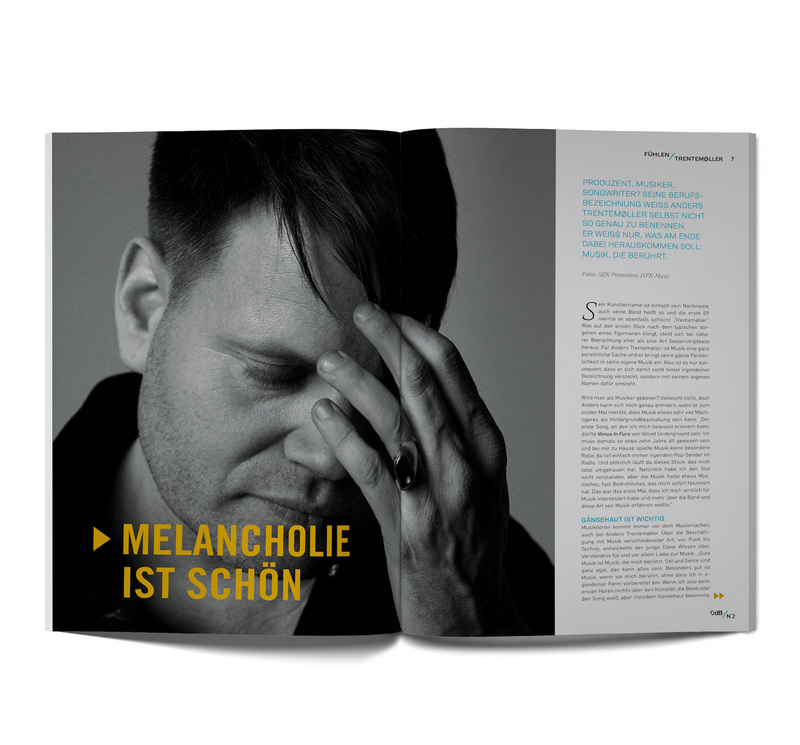 25,000 copies. 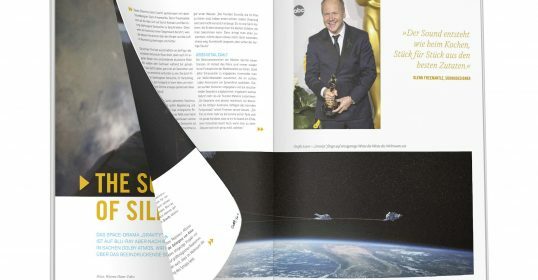 Most copies will be send out to the existing customer base (free of charge, of course); the remaining copies will be handed out in the retailer’s stores, on trade shows or during other events. 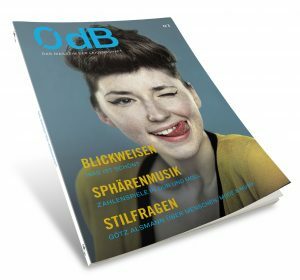 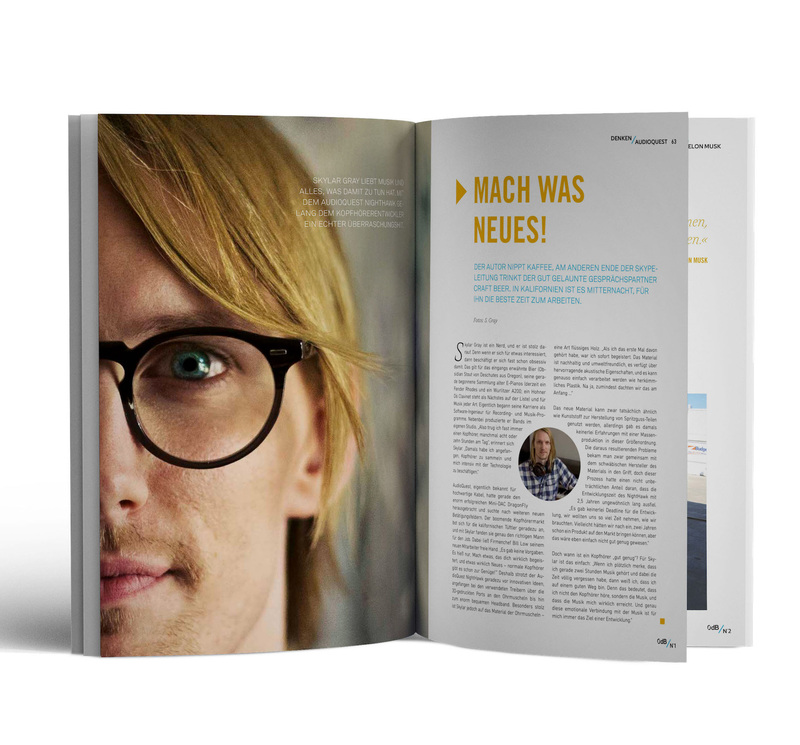 «0dB – Das Magazin der Leidenschaft» #3 was published in October 2018.